One artist I’ve been pulling for the last couple years is Adam Sanders. He had a really catchy tune out some time ago that I thought had breakout potential. And since then he’s released a couple more that had potential. Unfortunately things haven’t broken through…yet. But he’s still out there working on new music. Here is the latest single. I think it’s a good one. You’ll have to let me know what you think. This one was interesting to me right from reading the title. We have Thanksgiving coming up here in the USA and many people say that it’s their favorite holiday. Here in the midwest it’s a big time favorite. People up here love fall. The cooling temperatures. Football season. Hunting season. And all the good food and fixings on Thanksgiving. I don’t know if there has been a true Thanksgiving holiday song. I’m sure there have been a few over the years. This one from Adam isn’t necessarily a holiday song, but it obviously fits in well with the theme of Thanksgiving. 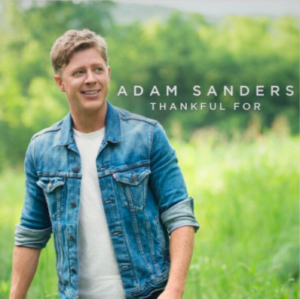 He sings about all the things he’s thankful for. Both those that we would all be thankful for, but also the simple things. A simple place to live. Gas in the tank of the car. Beer in the can. And of course people to care about. This is a good song. The more I listen the more I like it. I’ll be pulling for Adam on this one.